Rachael Franchini is a senior and the co-editor-in-chief of The Dickinsonian, as well as business manager. She has been on staff for the paper since freshman year, as contributing writer, staff writer and associate news editor before becoming Editor-in-Chief as a sophomore. Rachael is a double major in political science and international studies with a minor in French and Francophone studies. Outside of The Dickinsonian, she is co-president of Challah for Hunger and a member of the International Studies Major Committee and French Majors Committee. She is also a member of Alpha Lambda Delta National Honor Society, and was President of ALD during the 2016-2017 academic year. Two summers ago she was a campaign intern for U.S. Congresswoman Elizabeth Esty. 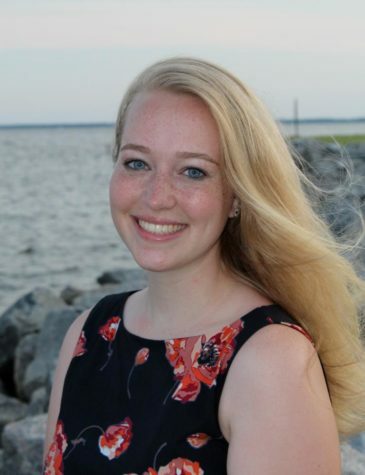 Rachael is from upstate New York and is a global ambassador for the Toulouse study abroad program.